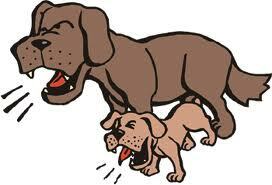 Jennie Boisvert - Councillor for Clarence Park Ward: If the children are obese, blame the dogs!! Only one other person spoke against the motion!! Cr Rabbitt, Hewitson and Smolucha spoke in favour of the motion. Cr Schnell proposed an amendment to reduce the time span so that it would only be for winter months, Cr Sangster seconded this motion. This motion was put and passed 7:5. This then became the Motion and when put the numbers were 6:6 giving the mayor the casting vote. Despite what he had heard and the officer's recommendation he inexplicably voted against the motion and the entire proposal FAILED. Cr Hewitson spoke for the motion, voted for the amendment and then against the final motion. Cr Schnell did not vote for his own amendment. And in the end the people have lost, the people who asked if they could have their dogs off leash a few minutes earlier. These people are Mums and Dads, often with children in tow who take the dog to the park to socialise with other each other and for the dogs to do the same. They mostly walk to the park and the exercise is mostly keeping everyone trim. A pity a few short sighted Councillors have destroyed this initiative without a second thought. Quite simply, kids and dogs don't mix in playgrounds. The primary use of our parks is for people. You should have a duty of care for the children. Dog attacks across the States are on the rise. As a teacher you should be more responsible. That's true but the parks that the hours might have changed for either do not have playgrounds (Page Park) or have fenced playgrounds. Very few children, other than those that come with their families to exercise the dog, use any of the parks after 4:00pm in winter As a teacher I take responsibility to the children in my care, and am disgusted that you would suggest otherwise. I dearly wish, as a person who wants to be in dog-free public areas, that dogs did not reign supreme. There is nowhere I, or others who don't like dogs, can go. How did it happen that dogs have become the dominant species in terms of dictating how parks and other public spaces are used???? Why don't humans count for anything? I'm mystified and meanwhile, can't go to any parks. Indeed, when you google 'dog free parks Adelaide' you get nothing but the opposite, an unending list of places where dogs are allowed. I'm signing this anonymous because I don't want the backlash of dog owners who think that they should be allowed everywhere, anytime. There are many parks that are completely dog free in the local area including Princess Margaret, Dora Guild, Forest Av Reserve. Many others dogs must be on a leash at all times. Thanks. I will checkout your suggestions - I am looking for dogfree, not dogs on leads. I have also written to Unley Council to suggest that they make the dog status of each park area available on the parks page of its website.